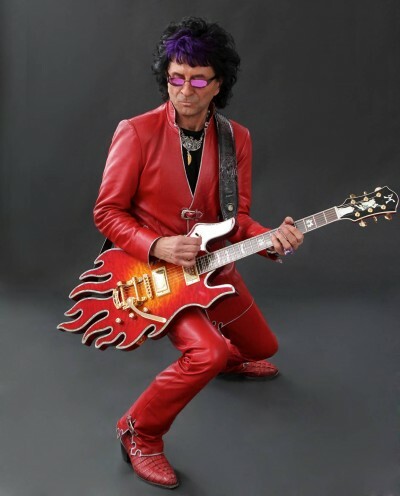 Jim Peterik (born November 11, 1950 Berwyn, Illinois) is an American musician and songwriter. Jim is best known as vocalist and songwriter of the hit song “Vehicle” by The Ides of March. He is also one of the founders of the band Survivor, co-writing all their hits, including the anthem “Eye of the Tiger,” from the motion picture Rocky III. Over the years, Jim has co-written songs for 38 Special, Lynyrd Skynyrd, Blackhawk, Cheap Trick, Sammy Hagar, Cathy Richardson, Van Zant, Brian Wilson, and R.E.O. Speedwagon, among others. Jim can be seen performing with the Ides Of March on tour throughout the USA, He also currently fronts the melodic rock group Pride of Lions, and has a regular series of yearly concert performances with an all-star cast which are known as World Stage. Peterik started performing in 1964 with some of his schoolmates in Berwyn, Illinois, as The Ides of March created by Larry Milas, “after learning about it in history class,” Millas stated. Their hits included “Vehicle,” “You Wouldn’t Listen” and “L.A. Goodbye” throughout the late 1960s and early 1970s. in 2014, the Ides celebrated their 50th year together will all the original members. In the early 1970s Peterik wrote several songs which were recorded by the jazz-rock band Chase.